Rogelio Jun Doliguez of the Philippines will face the former world champion Fernando Montiel for the 10 round non-title fight on March 14, 2015 in Mexico. - Rogelio Doliguez is a 23 years old fighter from Malungon, Sarangani, Philippines, he is a KO puncher and has record of 19 wins including 14 wins by way of KO and has 2 losses. Doliguez needs to preapare more than he was because Montiel is not easy opponent. 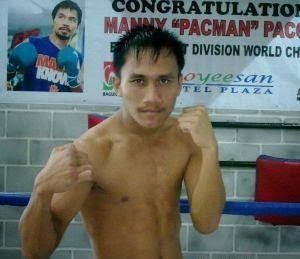 Doliguez loss his last fight via majority decision against Dennis Tubierion who also from the Philippines. - Fernando Montiel is a boxing superstar from Mexico, he defended his title for 17 times and he is also a 3 division world champion. After a worst loss to Donaire, Fernando Montiel is not backing up and continue to fight, and he won his last seven fights decisively. Right now Montiel has an impressive record of 53 big wins, 39 by way of KO and has only 4 defeats. Montiel will surely still wants to become a world champion once more before he retire.